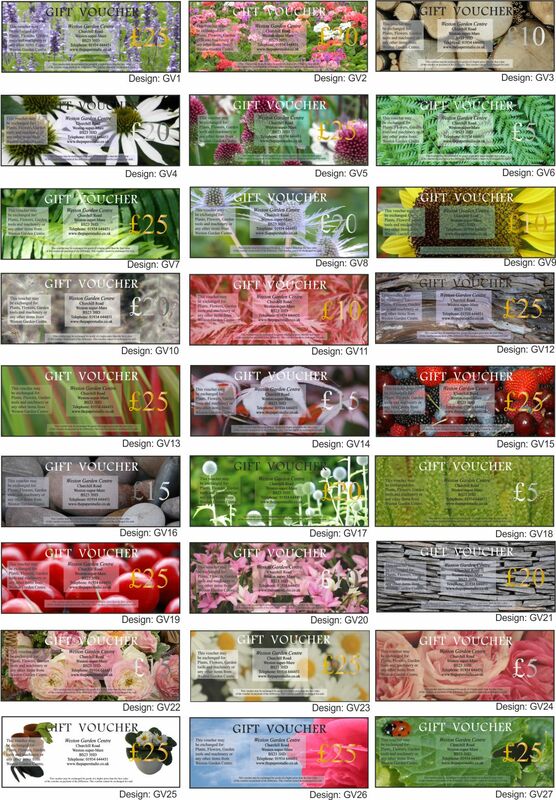 There are lots of variations and options, including having your own designs. Scroll down this page to see them. 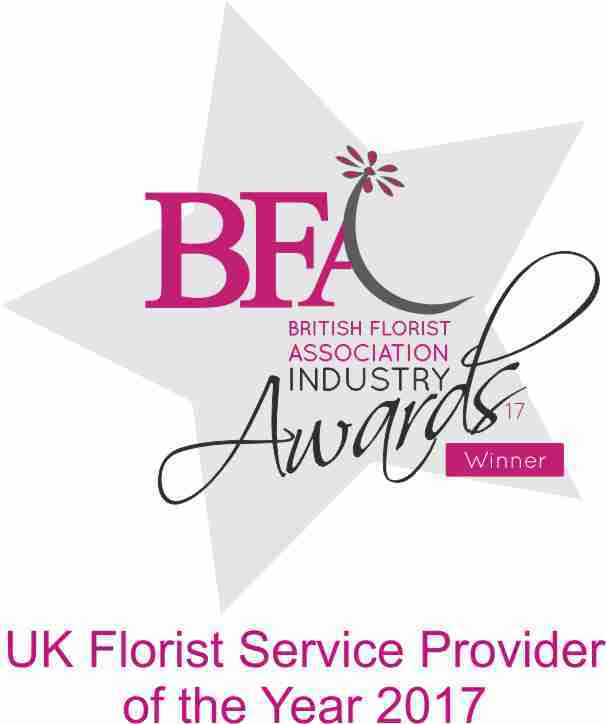 Please call us on 01934 644451 and we will be happy to discuss them with you. Numbering is available at £10 for the first 250 and £5 for each further 250 run-on. 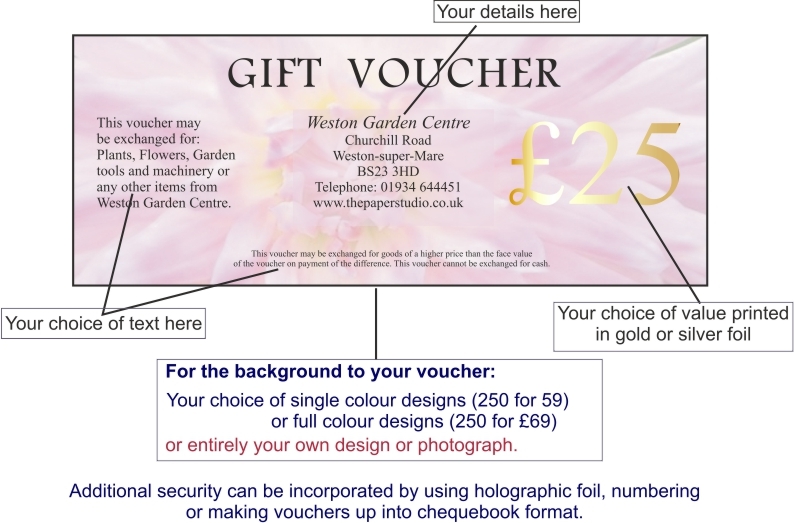 Chequebook format with numbering and a perforated stub is £25 for the first 250 vouchers and £15 for each further 250 run-on. If you want to split the 250 between values there is a plate charge of £9 per additional value. 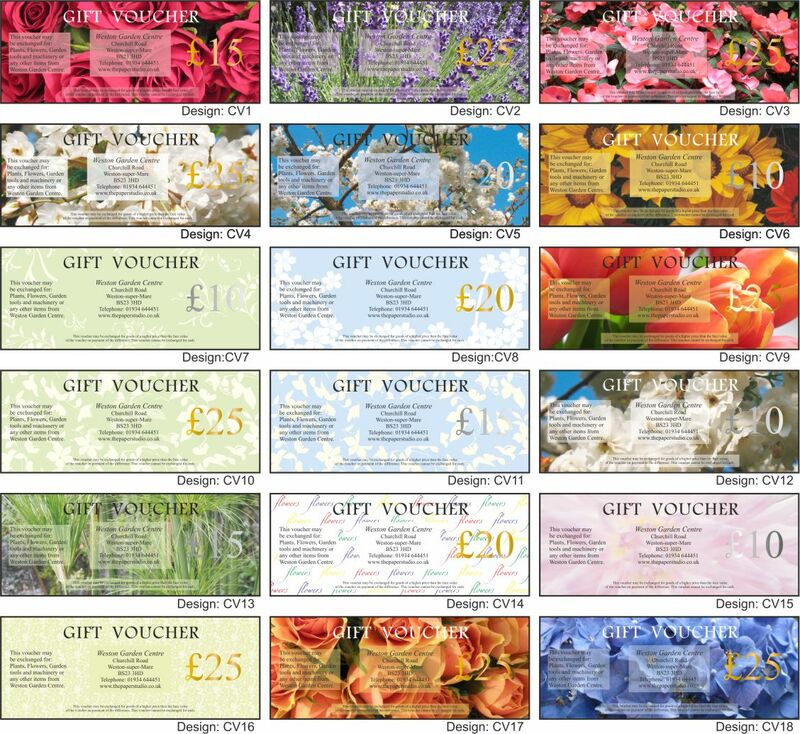 We use extra prints of your voucher to illustrate and personalise your poster. These are laminated for durability.